Yeah OK I couldn’t find my hair band and had to use Shrek ears. Don’t mock. We’ve all done it. Launching today in the UK, DHC’s Rich Eye Zone Care Pack promises to address a multitude of concerns, from eyelid puffiness and laughter lines to under eye bags and dark circles. Those are big claims, but masks like this do genuinely work in flattening lines and puffiness around the eyes. This is because they press down on the skin for around 10 minutes, and that’s enough to smooth things out, at least temporarily. The flattening effect lasts for several hours. So if you’ve got a big night out coming up then a treatment like this is great to do maybe 3-4 hours before lift off. Leave a little time for the serum or cream to absorb so your make up doesn’t fall off, but after that you’re good to go. I’ve used Korean eye masks many times before. This Japanese version is slightly different. 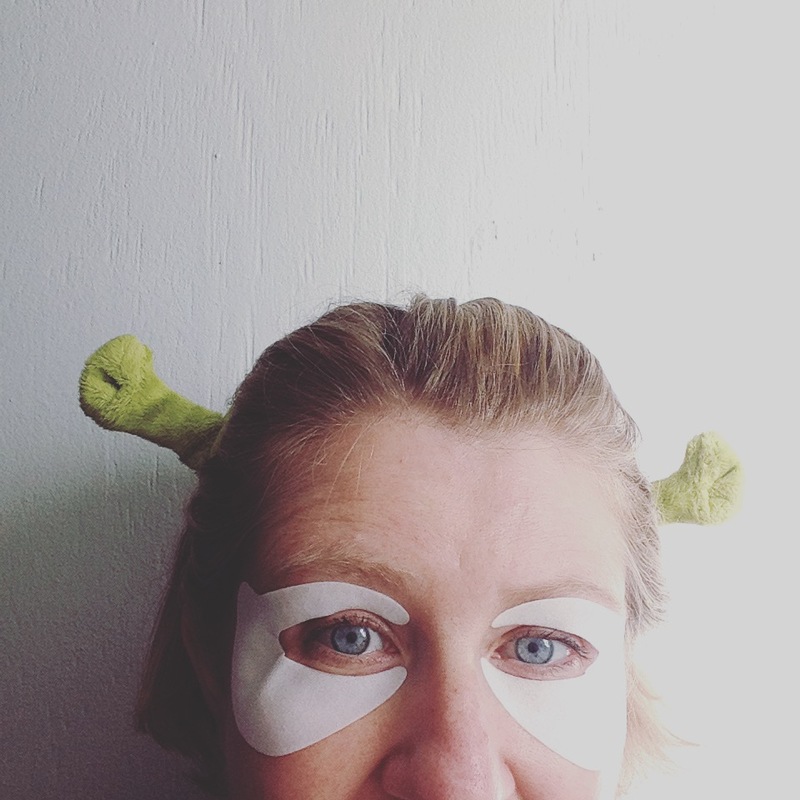 One side of the mask is dry and the other contains eye cream. Having one side dry keeps the material slightly stiffer than, say, a sheet mask which is drenched with serum all the way through. So this means that it adheres to the skin more firmly, a bit like a hydrogel mask. And given that it sticks to the skin more firmly, you get more of the flattening effect. Bottom line – it leaves you less wrinkly. Hurrah! However, the stiffer material means that it’s not 100% comfortable. You could still use a computer whilst wearing them (I did) but you’ll be aware that they’re there. There’s a little cut on the side of each mask so it can be adjusted to fit all eye shapes. As you can see in the picture it still lifted slightly at the corner of the eye but all in all it was a reasonably good fit. The creamy, intensive formula contains multipeptides to support collagen, olive fruit oil to add moisture and hyaluronic acid. It’s fragrance-free, paraben-free and suitable for sensitive skin. Once you’ve taken the mask off, simply massage in the excess and leave it to absorb. It’s very light and non-greasy. 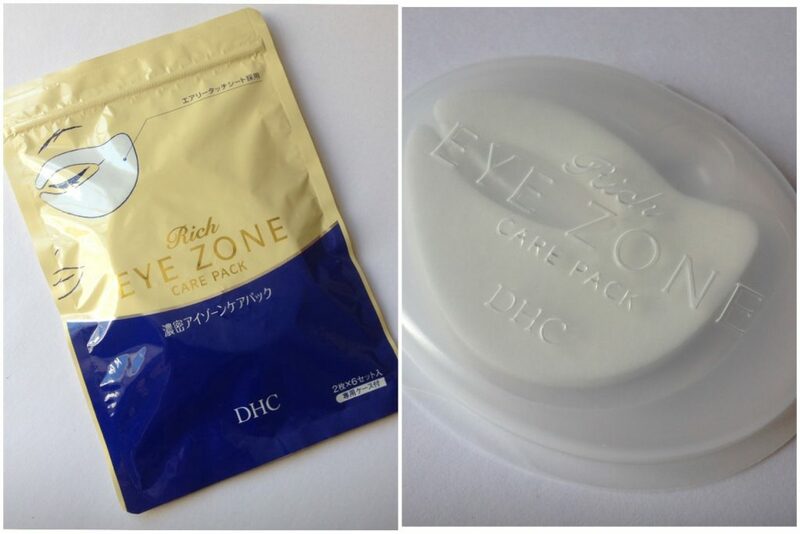 Packaging wise the Rich Eye Zone Care Pack is simple but hygienic. There’s a resealable outer pouch, then the eye masks themselves sit in a resealable plastic tray. They’re folded in pairs so you only expose the cream to the air when you unfold a pair of masks just before use. This should protect the masks from contaminants and keep them fresh until use. 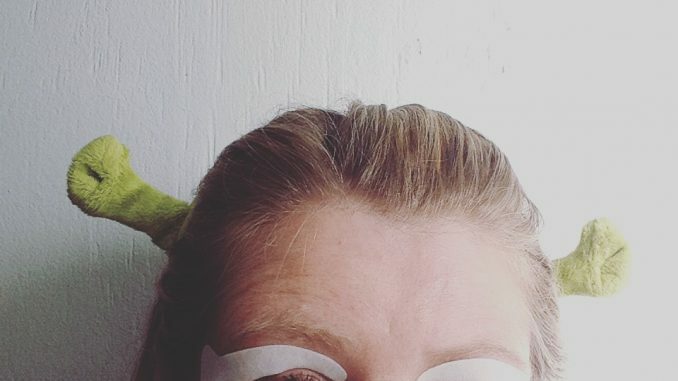 DHC recommend using these eye masks one to two times a week, but I would be more inclined to keep them for big nights out and important events where you want to look your best. I’m not normally a fan of keeping things for best, but I wouldn’t waste these on the school run. Selected DHC products are also available at amazon.co.uk, feelunique.com and escentual.com, and leading stores including Selfridges, Fenwick, Bentalls, BeautyMART and Bliss Pharmacy branches.